1. Cause a big fuss by being testy or impolite. Law enforcement, clerks of court and even the judge have even less reason to let you off with a warning or anything like a dismissal if you don't play nice. Always be cordial, polite and helpful, even if you’re defending yourself from the charges brought against you. 2. Admit to being guilty. 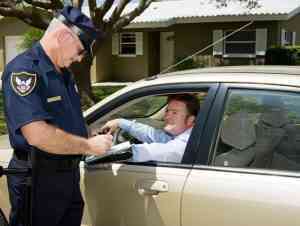 Things do go faster when you admit to being guilty of the traffic violation. Keep in mind, however, that this means you truly did violate traffic laws. Admitting something you didn't do, thinking they'll let you off easily is not a good way of thinking. Pleading “not guilty” during a contest for your ticket is fine, but it’s important that you talk to your lawyer first. Make sure you don’t give the impression that this ticket isn’t a big thing. The officer who flagged you takes their job seriously, and implying that this is not a big deal can get on his or her nerves. Sometimes, it’s even better to make a big deal out of the ticket and how much it means to you that you don’t get a violation. Keep in mind that each case is different and only a lawyer can truly give you sound advice about getting out of a traffic ticket. “Parental gatekeeping” is a phrase that, for most people, something you won’t hear on a daily basis. For some divorced couples, however, this is a reality that they face regularly. It’s harsh, considering that this act could seriously damage the relationship between a parent and a child.